Union 76 - I Say Ding Dong Shop - Buy Stickers, Decals & Unique Automobilia. 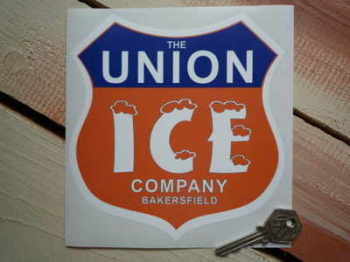 Union 'Ice Company' Shield Sticker. 6". Union 76 Cheeky Chappy Sticker. 15". Union 76 Cheeky Chappy Sticker. 6" or 10". Union 76 Chequered Race Stickers. 5" Pair. Union 76 Circular '76' Orange Sticker. 12". Union 76 Circular '76' Orange Sticker. 8". Union 76 Circular '76' Orange Stickers. 2.5", 3", 4", 5" or 6" Pair. Union 76 Circular '76' Red Sticker. 12". Union 76 Circular '76' Red Sticker. 8". Union 76 Circular '76' Red Stickers. 4" or 6" Pair. Union 76 Circular 'Union' Cream Stickers. 5" Pair. Union 76 Circular 'Union' Orange Sticker. 9" or 12". Union 76 Circular 'Union' Orange Stickers. 5" or 6" Pair. Union 76 Circular 'Union' Red Sticker. 9" or 12". Union 76 Circular 'Union' Red Stickers. 5" or 6" Pair. 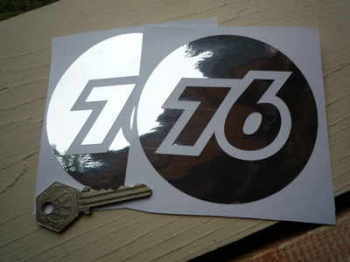 Union 76 Cut Foil Stickers. 4" Pair. 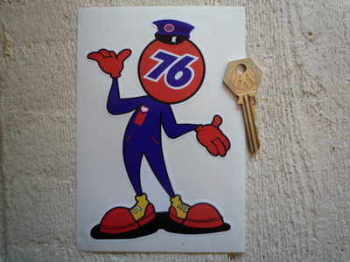 Union 76 Gasoline Shield Sticker. 12". 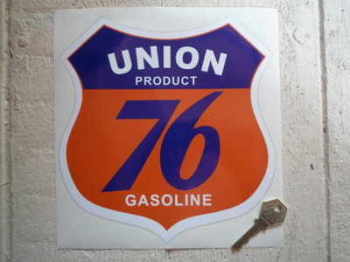 Union 76 Gasoline Shield Sticker. 8". 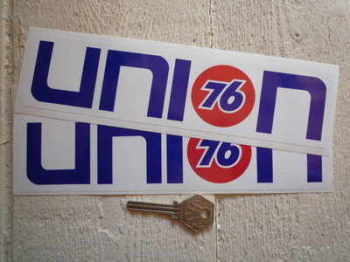 Union 76 Gasoline Shield Stickers. 4" Pair. 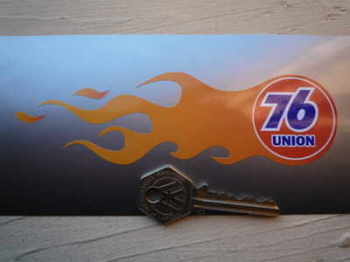 Union 76 Handed Flame Stickers. 5.5" Pair. 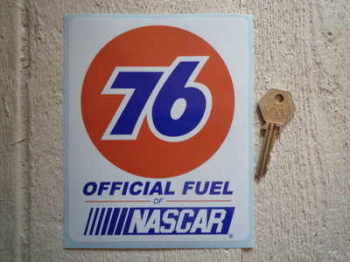 Union 76 Official Fuel of Nascar Sticker. 5". 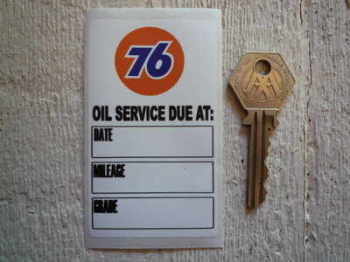 Union 76 Oil Service Sticker. 3.5". Union 76 Old Style Window Sticker. 4". 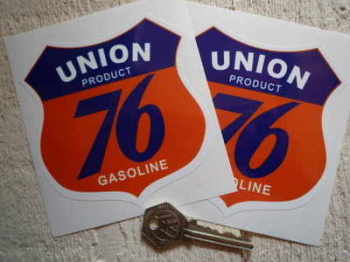 Union 76 Petrol Pump Style Large Sticker. 24". Union 76 Text Nascar Style Stickers. 16" Pair. Union 76 Text Nascar Style Stickers. 9", 10" or 12" Pair. 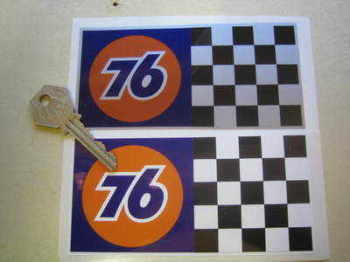 Union 76 Wavy Chequered Flag Stickers. 6" Pair.